The Social Worker of the Year Awards are open to qualified social workers currently working in England. Nominees must be fully qualified and registered with the HCPC. Nominees may enter themselves into individual categories or they may be nominated by a third party who must include their contact details. All nominations must be made through the online entry system. If you have any questions regarding your entry to the Social Worker of the Year Awards, you can email awards@socialworkawards.com or call 01473 326404 and we will be pleased to help. 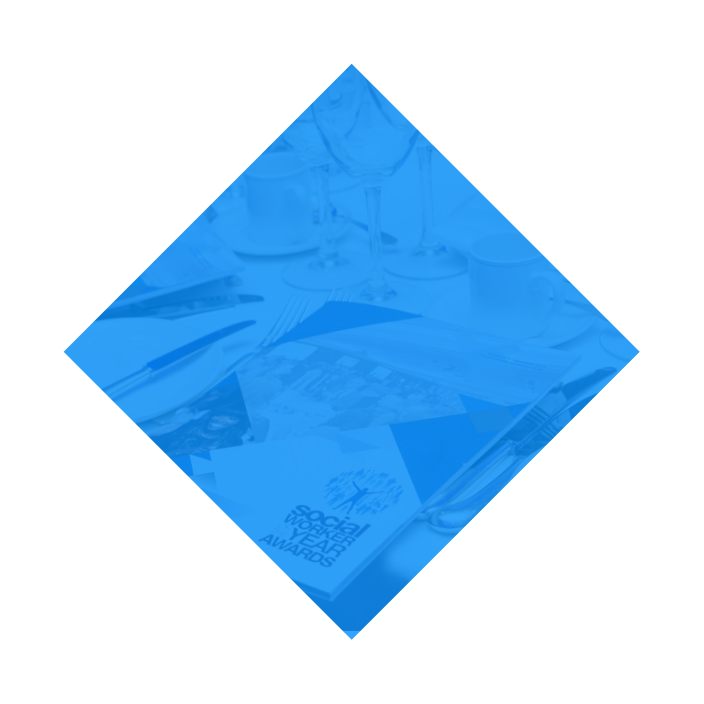 The awards are open to direct employers, organisations and independent practitioners operating in the public, private or voluntary sectors, regardless of service user categories and size of organisation except where the category name indicates otherwise. Submissions will only be accepted for the specified categories. Nomination entry is free of charge. Nominees must be prepared to accept their award in person during the awards presentation (or identify a representative to attend on their behalf) and be willing for their names and images to be used for publicity purposes. All submitted entries will remain confidential and the property of Social Work Awards Ltd. Names and contact details will not be shared with third parties due to data protection. Upon submission of entry, nominees agree that Social Work Awards Ltd may use information provided in the entry form for press purposes and published case studies. No confidential information will be shared or disclosed. The promoters are Social Work Awards Ltd and individual awards are sponsored by organisations and companies associated with the social work sector. No purchase or contractual relationship with the promoter is necessary for eligibility to nominate or be nominated. Social Work Awards Ltd and the independent judging panel reserve the right to make decisions relating to any changes at any time through the Social Work Awards process. The gala event will be held in London on Friday 29th November 2019. All attendees, including finalists, must purchase a ticket to the event. The awards will consist of a celebratory award and certificate. Finalists will receive a certificate and may describe themselves as such for the category in their corporate literature. They may not claim that their products or services are endorsed by Social Work Awards Ltd.
All entrants must be registered with the HCPC (this does not apply to the Social Work Employer or Student Social Worker categories). For team entries, the registration number for the Team Manager / Leader must be included. Nominations will only be accepted if submitted through the official online entry portal. A separate nomination must be completed for each category entered. The nomination form must be endorsed by a member of senior management to indicate acceptance of these rules. Incomplete applications will be excluded from the final selection process. Category sponsors may not make a nomination into the category of which they are the sponsor. For each individual category, a panel of independent judges will determine the final shortlist. A full list of judges can be found here. All judges are required to declare any conflicts of interest and will refrain from judging any entrants deemed to have a conflict. Should any conflicts arise, the judge shall remove themselves from the room during the judging process of that specific entrant. Assessment process: The finalists will be selected by independent judges using the outlined criteria. All judges will provide a score for each entry; chosen finalists will be those with the highest scores received from the panel. No liability arising from nominating or being nominated for the Social Work Awards shall pertain to the promoters. The judging panel reserves the right to disqualify any entry which they consider, in their sole discretion, to be in breach of the awards criteria. Any nominee subject to complaints, investigations or disciplinary action (past or present) (by employer or the HCPC) shall be declared upon application to the awards. This will not necessarily mean disqualification, but will be taken on an individual case and is at the discretion of Social Work Awards Ltd and the partners. A nominator, whose nominee becomes subject to complaints, investigations or disciplinary action (by employer or the HCPC) following a nomination submission and leading up to the awards ceremony, will notify Social Work Awards Ltd immediately.